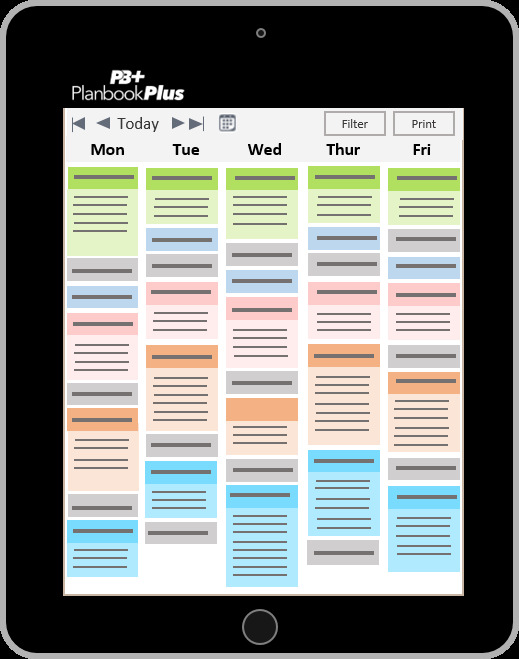 Planbook Plus makes the daily task of lesson planning easy and intuitive, however it is more than just a plan book. Plan for Success by leveraging all the features of Planbook Plus. All features are designed by educators to easily plan your classroom activities and seamlessly create or import our ready-made lessons, activities and standards. You can simply create or modify your plans and have them available online whenever and wherever you need. Planbook PLUS is more than just a plan book. In addition to the basic planning tools you expect, Planbook Plus offers a variety of resources to enrich your daily lesson plans. A library of ready-made lessons, a built-in assessment creator and a gradebook take you beyond planning to aiding instruction. Our basic plan gives you all the tools needed to lesson plan effectively for only $10 per year. Advanced Planner adds the power of a our online assessment creator and a built-in gradebook. Both seamlessly integrate with your plan book. Master Planner provides you with all the resources you need to supplement your plan. Thousands of ready-made lessons, an assessment creator and built-in gradebook make this more than just a planbook. "As a K-12 music teacher I have been looking for software for to use to plan my busy day. I teach 8 classes every day. My biggest challenge is planning. I know what I want to do, but how to communicate that to my administrators in the clearest and concise fashion each week. This is the best teacher planner software I have ever used! It is simply fantastic. It is easy to learn and begin planning right way. I love the way it looks on the screen, and its ease in navigation through my many classes. Thanks for creating such an effective tool for educators! It is great!"